In the fall ArtShow of the Russian Art & Paris journal, we present to our readers artists of two major areas of fine art – drawing and painting. In the graphics section, the journal will continue the talk from an earlier exposition of ArtShow about the complex and elitist art of etching. 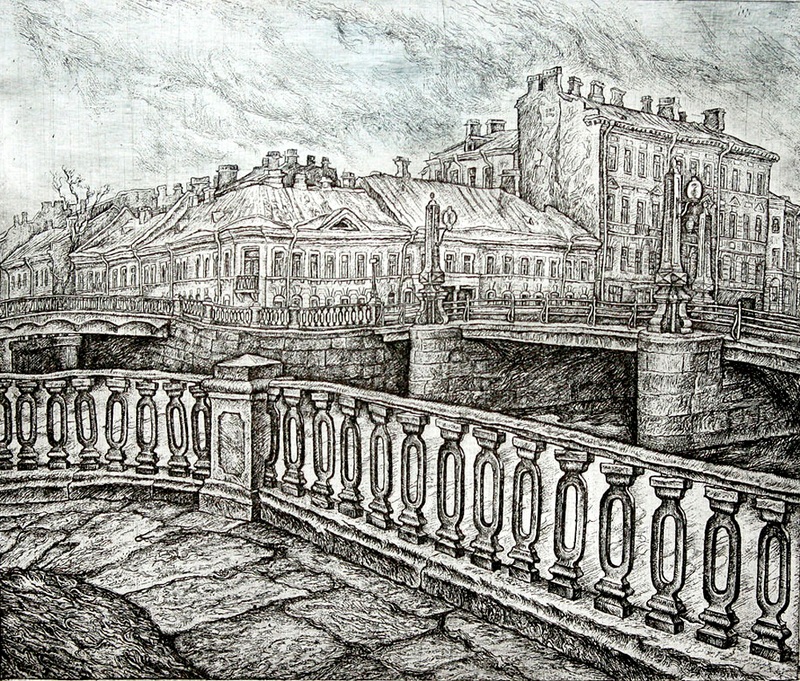 This time you can get acquainted with the work of two artists: classic of etching, an exhibitor of the State Tretyakov Gallery, the Honored Artist of the Russian Federation Vitaly Gubarev and young, talented Saint Petersburg graphic artist Leonid Stroganov. 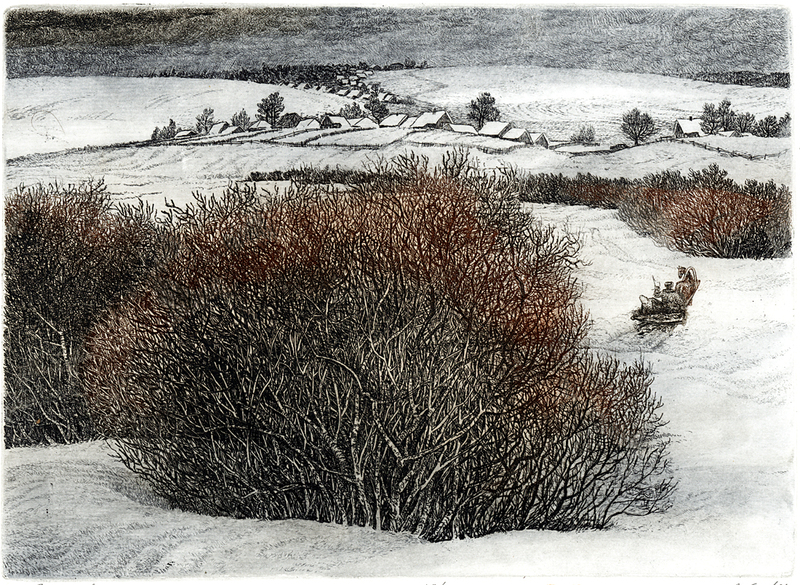 What unites these quite different artists is the excellent sense of style and understanding of the nature and specificity of the etching plate – its possibilities and its limits. 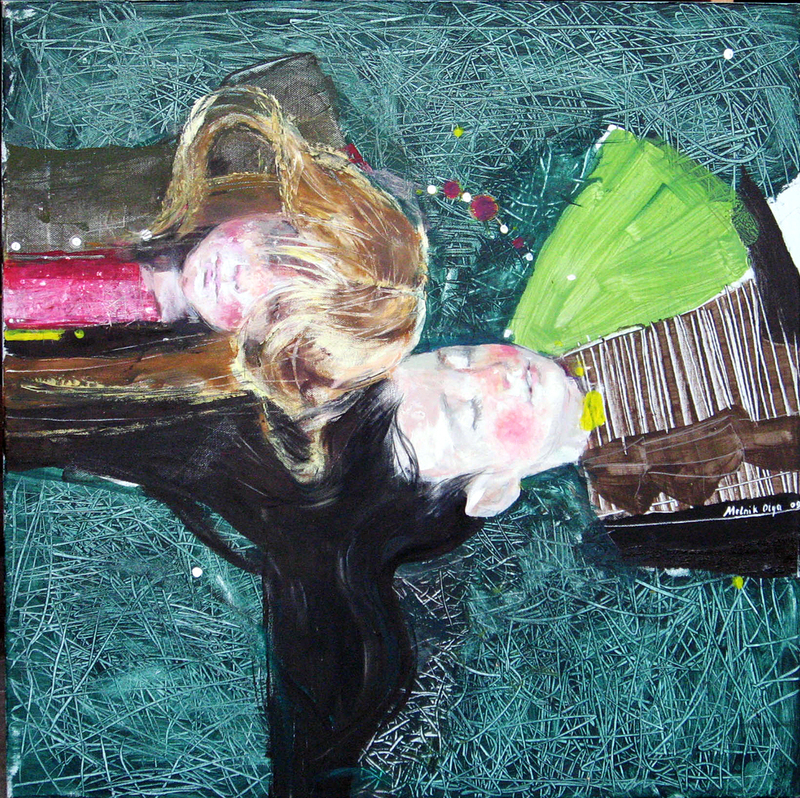 The paintings section is presented today also by two modern artists. 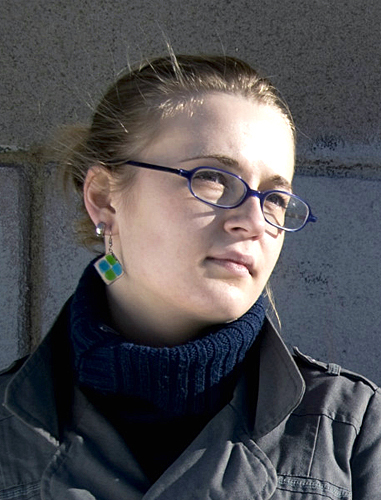 One is the professor at Krasnoyarsk State Institute of Fine Art, Victor Rogachev, and the other a lecturer of the Belarusian State Academy of Arts, Olga Melnik-Malakhova. The innovative character of the artistic quests by these painters, the genuine freshness and non-triviality of their view on the world, and the stylistic integrity of their artworks deserve the attention of all who are interested in the world of contemporary art. 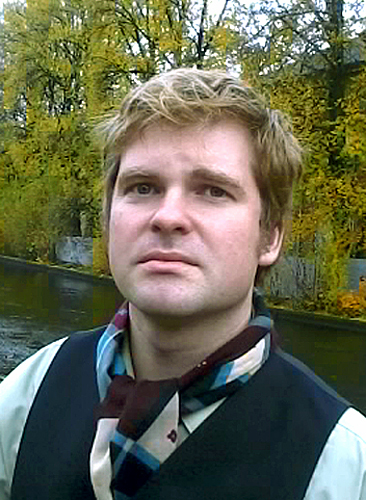 The artist Vitaly Gubarev has long been known. A great graphic artist, a master of etching, a fine lyricist – epithets which no one disputes, and yet, speaking about the art of this master is not so easy. The thematic range of this artist is reserved and even austere. The number of plots in his works is not too large. 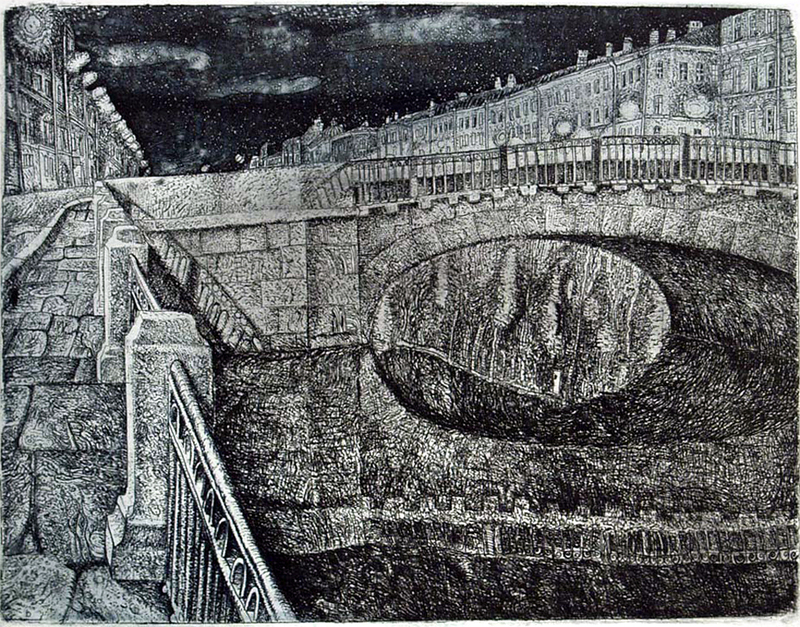 Add to that the natural asceticism of the techniques in etching, and it begs the question – what is the focus of the art of V.Gubarev? In what art-field does he lead his creative exploration? Let’s try to understand. • We have before us two landscapes – “Blooming meadow” and “Cornfield”. The most close-up view and a wide panorama. Space on these sheets is strictly structured and is emphasized with several apparent tonal accents. This space, decorative and almost flat in the first case, and expanded to maximum depth in the second case, is the main character in the works. However, space can never be empty, it is always filled with something. Here we come to the most important – to the fringe beyond which art begins. 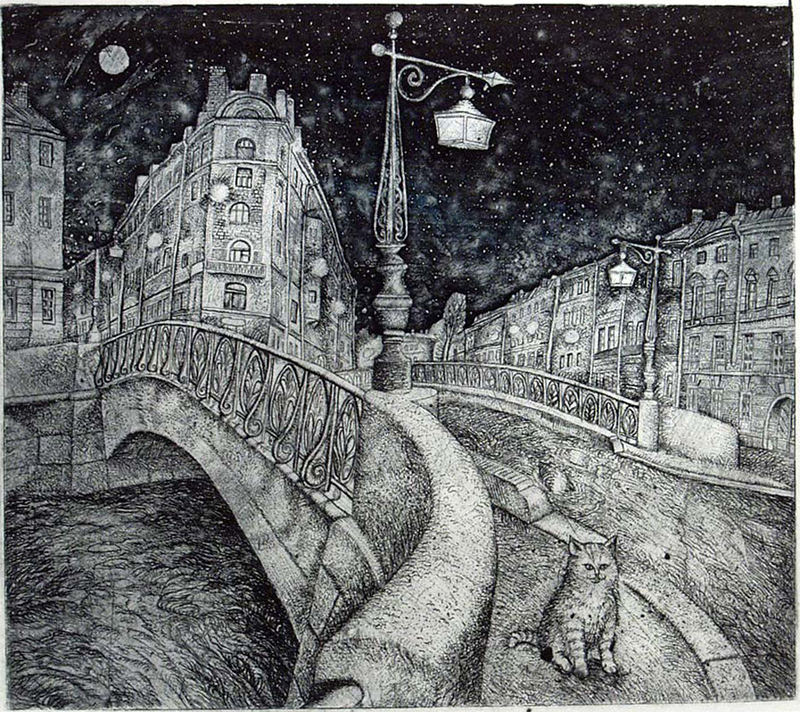 A description of the space in etchings of Vitaly Gubarev is not difficult to give at first sight of these sheets – living. Living space filled with the breath of wind and the smell of grass, is vibrant and changeable. How, by what means, does the artist create this effect? • Pay attention to the filigree tone design, clearly visible in the composition “Cornfield”. 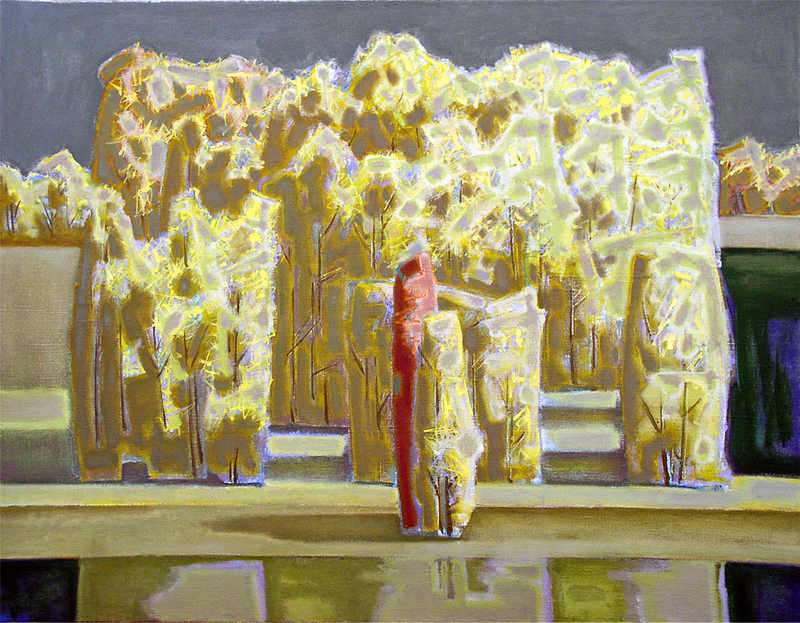 In addition to the major tonal accents, the development of light spots of the second row literally leads the gaze of viewers through the waves of the shifting field. 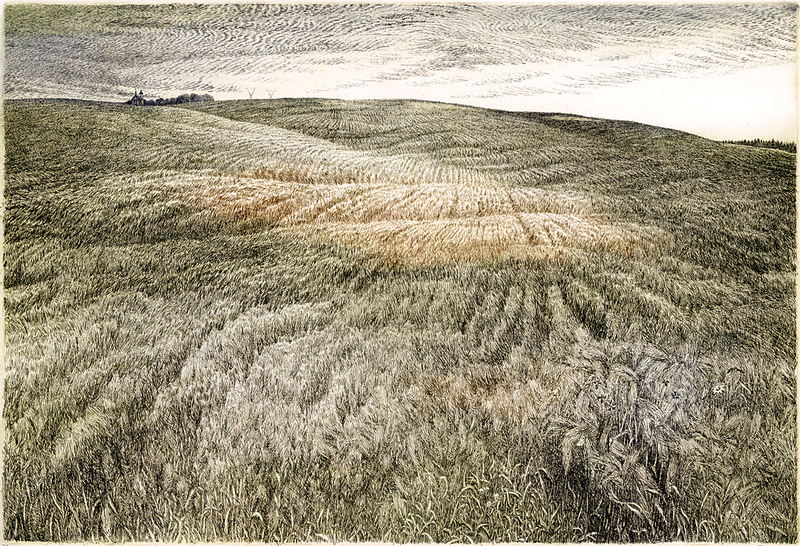 This is not just a tonal richness, but also an extremely difficult tonal arrangement illustrating the meaning of the work – the endless movement of living eared fields. 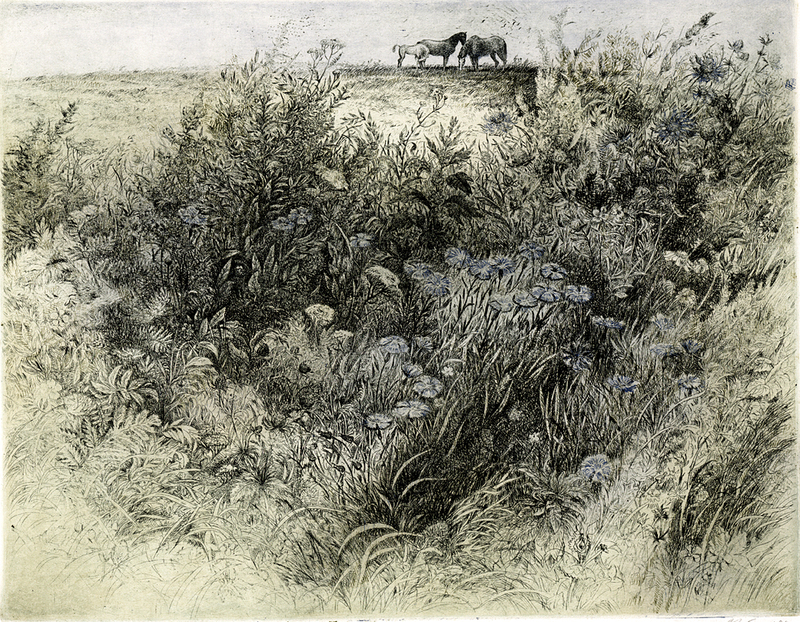 No less interesting is the compositional solution of the foreground in etching “Blooming meadow”. The vibration of the warm afternoon air, the movement of grass, the nearly palpable smell of summer – all of this is in the construction of complex, sibling tonal rhythms of this magnificent sheet. The art of the painting novella – a genre which is very rare and almost inaccessible for most modern artists. It is difficult to even establish the boundaries of the genre, to give it a precise definition. Some subtle feature of talent transforms the artwork, which is in all respects traditional, into a painting short story, a picturesque novella, acquiring the scale of an event. And it’s not only about the self-sufficiency of the plot, but apparently in the author’s self-sufficiency, in revealing the plot. 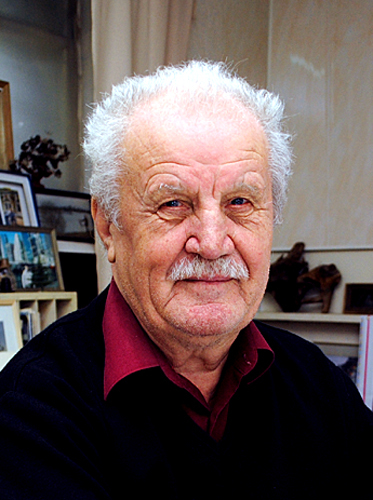 The artist is, first and foremost, a man who has something to say. • A distinctive feature of the figurative artworks by artist Olga Melnik-Malakhova is undoubtedly, their openness to the viewer. Look how easily they enter into a dialogue with the audience: the charming short story “Duel” or the homely warm painting “Blanket”. 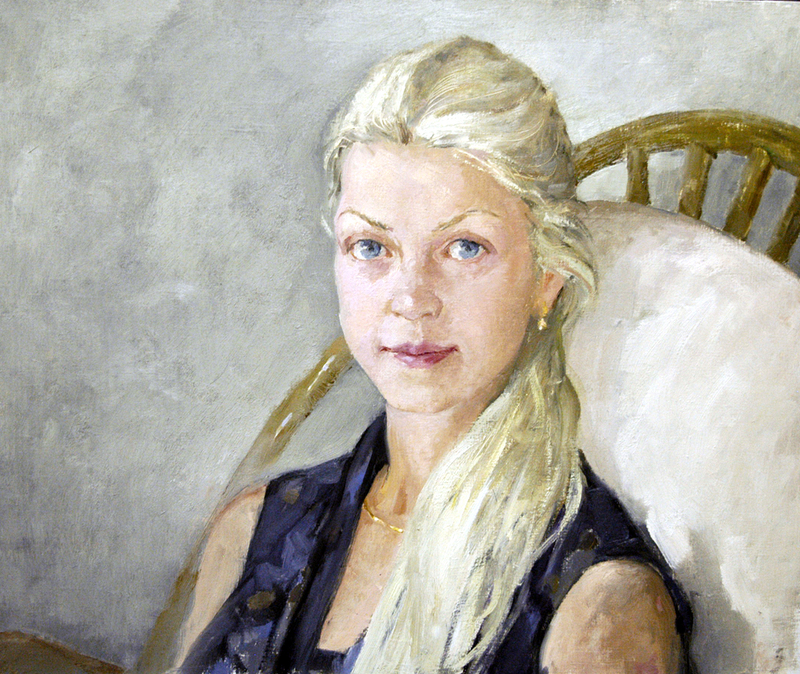 The capacity for dialogue as a essential quality of figurative genre painting, is priceless. In the composition “Dream on the grass” the dialogue sounds muffled. You can see the presence of a dream itself, painted in the bright colors of wonderful childhood. No less obvious are coloristic accomplishments of this beautiful work. Extremely bold, distinctly contemporary paintings, with live recognizable characters of heroes. All that transforms the image into a work of fine art. • Space. A place where the artist deploys his compositional ideas, is one of the most important components of the painting. The space of Victor Rogachev is complex and unexpected, and perhaps the most intriguing feature in the works of this master. In his most interesting spatial constructions, the artist achieves an amazing effect – the effect of a metaphor. 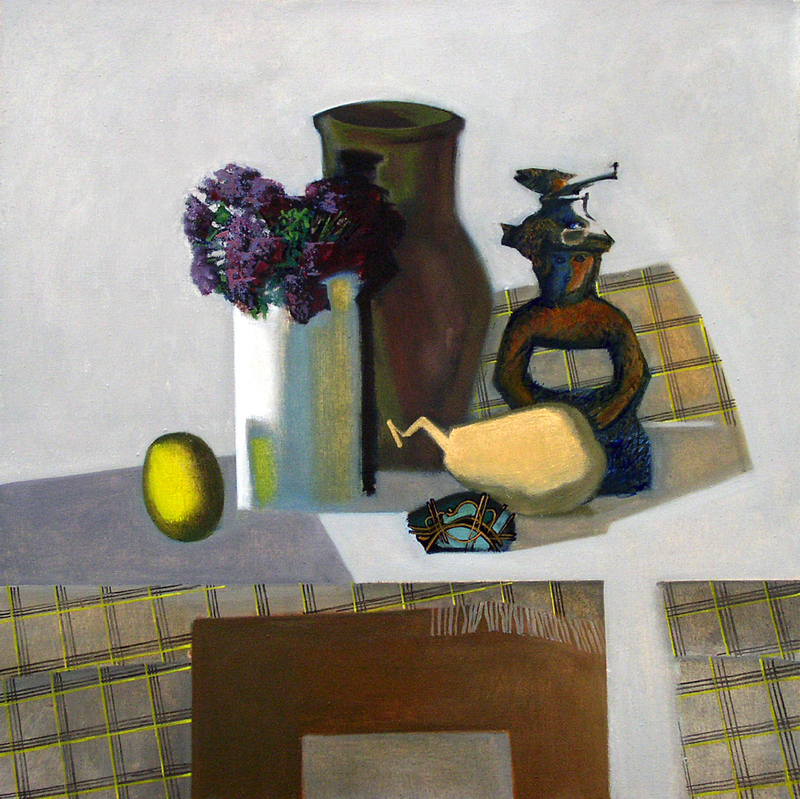 “Still life with ceramic figurine”, where everything are the foreground, where the familiar three-dimensional model of the world begins to fall apart immediately, as soon as the glance crosses the boundaries of group of objects that forming its own creation. The color scheme of this composition is just excellent. It is the little metaphor of existence in the infinite cosmos of life. 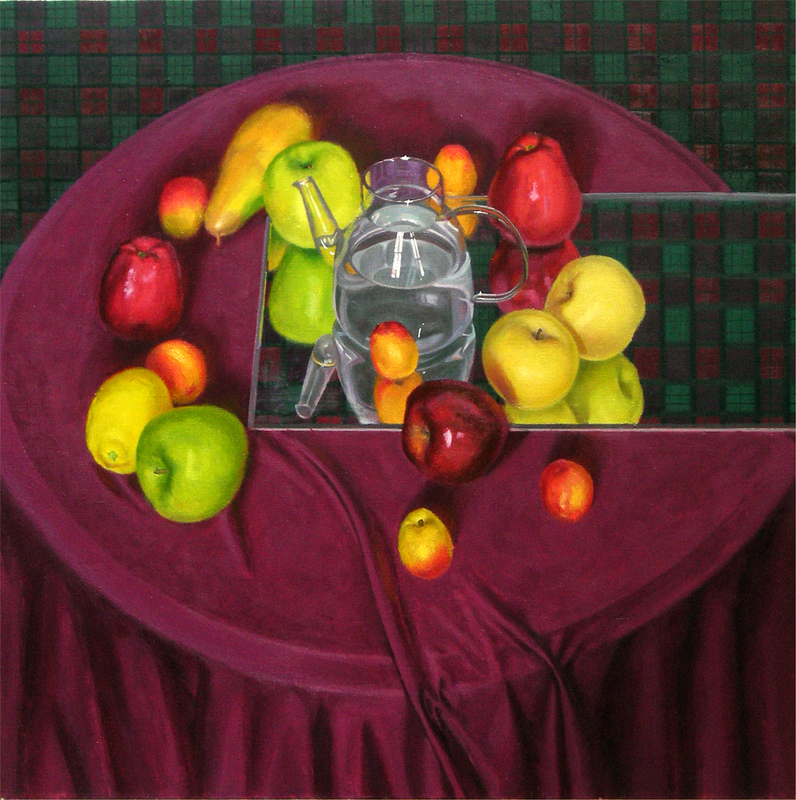 Modern art of still life, shaped largely by the efforts of Cezanne, is an analytical genre. Victor Rogachev takes full advantage of this analytical capacity in the search for new compositional possibilities, and new imaginative spatial structures, each time extracting new meaning from objects that are quite traditional. • The style of the artwork. An artist’s own style is not just individuality. To this same aspect of creativity, belongs the creation of a harmonious unity of all the components of an image. 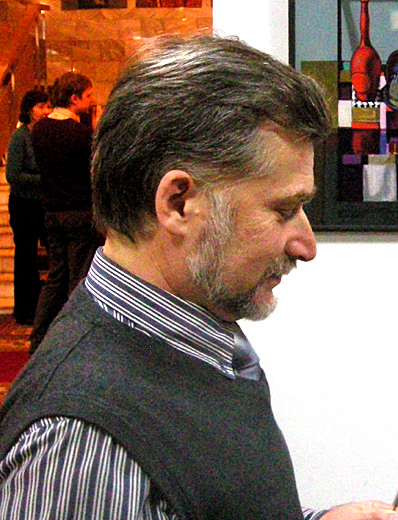 The individual artistic style of V. Rogachev, with a notable presence of solutions and techniques from traditional graphic art, is well thought out and meaningful. 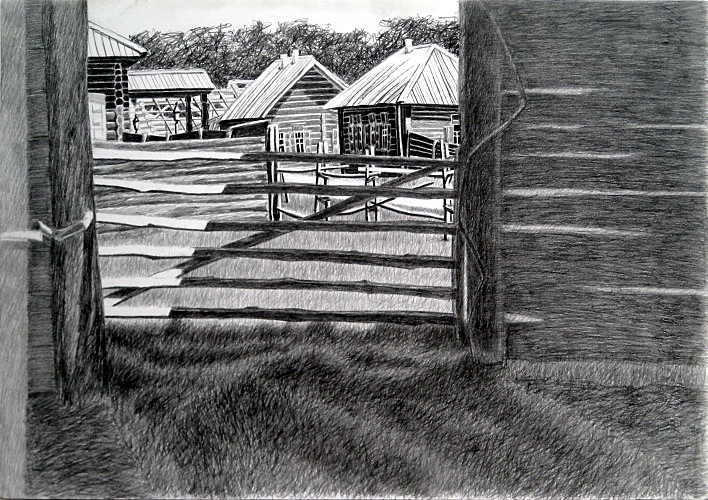 Exceptionally effective and very interesting is the line drawing in the landscape painting “Autumn. Cottages”. In the gorgeous landscape composition “Silver Fall”, a fine and wonderfully elegant color design, with the most generalized planes, creates a qualitatively new state and a metaphysics of color context arises. The image of autumn arises, along with its metaphor. This metaphor is strong and deep. The painting space of this landscape is concise and tense, and emphasizes the stylistic excellence of the work, where there are no extra details, not a single extra emphasis. And finally, the color scheme, which is restrained and austere even in compositions with contrasting color rhythms, should also be attributed to the “signature” style of the artist. 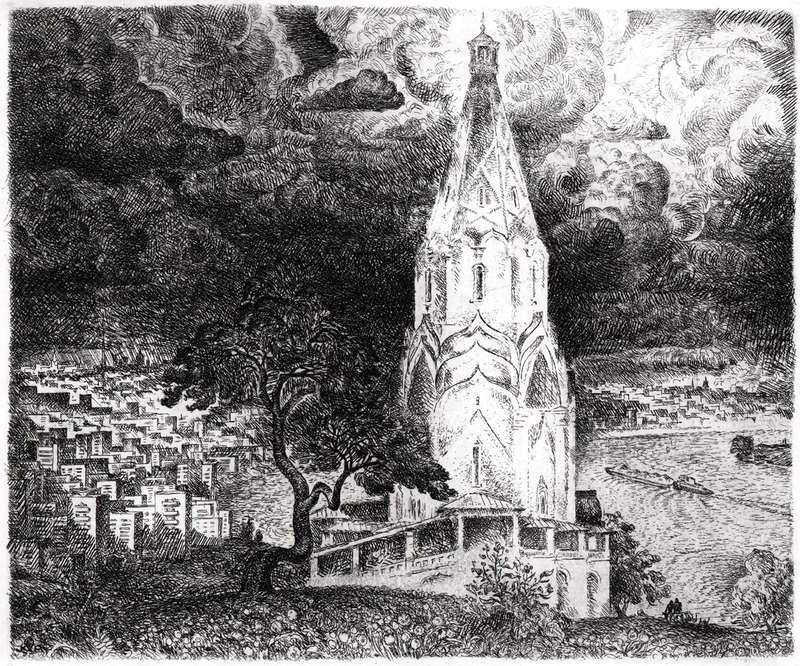 The modern Saint Petersburg graphic artist Leonid Stroganov debuted in art with an impressive series of etchings “King Lear”. The sophisticated viewer will immediately feel a dissonance because a series of etchings requires quite serious creative experience and of course, maturity is needed for Shakespeare… All right! And yet… The talent of Leonid Stroganov is bright and obvious. Few artists of this age have an established style and a distinct artistic vision. Even rarer is the wholeness and strong inner conviction of his own truth. These are imperative qualities without which many talents have faded. 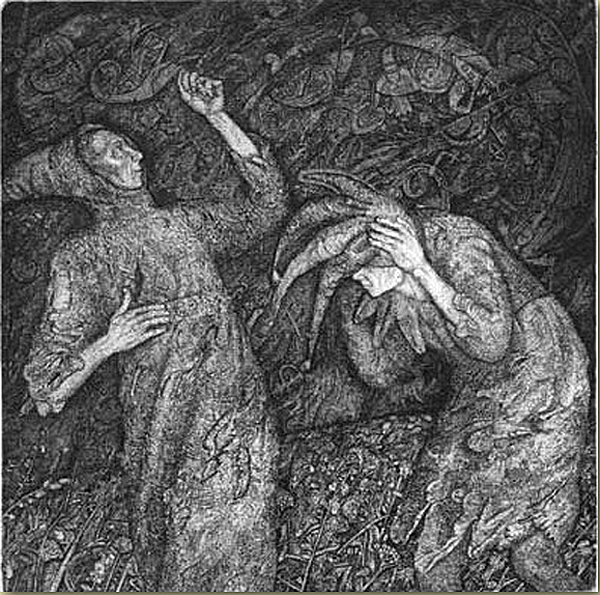 • The bas-relief style of Leonid Stroganov etchings, their intense drama, is realized in full effect in the William Shakespeare series. No less interesting is the dynamism of compositional solutions, the amazing artistic unity of tonal and rhythmic rows. 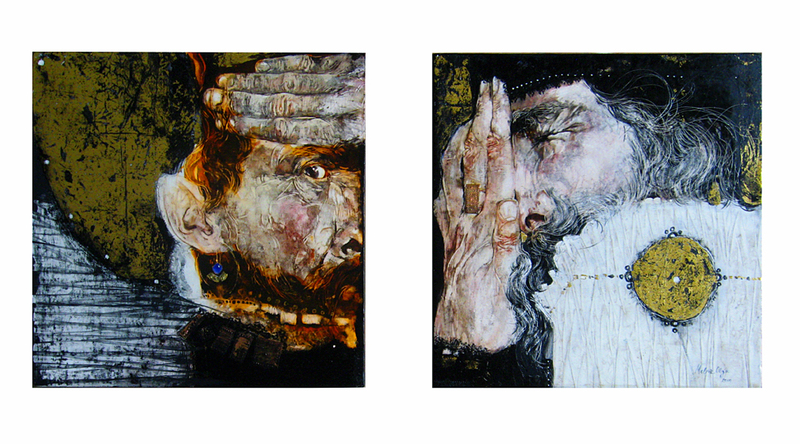 Tonal accents impeccably build the dialogue of gestures in the etching “King Lear – 1”. The complex range of emotions in the sheet of “King Lear – 10” comes from the black and white rhythm of the composition. The determination and non-triviality of the compositional structures of each sheet is very enticing. Determination, without which it is impossible to create a new artistic image or, by the description of philosopher Berdyaev a “creation of the nonexistant”. Whoah, this blog is fantastic! I love reading your articles. You recognize, lots of persons are searching around for this information, you can help them greatly. Stay up, the great work! Needed to put you a tiny word just to say thanks the moment again for all the thoughts you’ve shared on this page. This is quite shockingly generous of people like you to deliver freely what exactly a number of people could possibly have offered for sale as an e-book to make some dough for their own end, mostly seeing that you might have tried it in the event you wanted. I’m certain there are numerous more fun occasions in the future for individuals who read through your site. Thank you for the wonderful post. I really enjoyed reading the descriptions, and I especially like the beautiful artworks of Victor Rogachev. Your post, “Russian Art & Paris” Art Show. Autumn’ 12, is really well written and insightful. Glad I found your website, warm regards from Sandy!